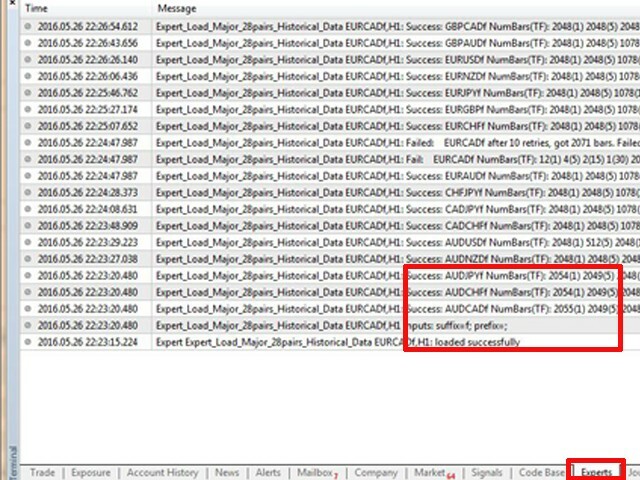 By applying this expert onto any char window, you are able to force download the historical data upon all time-frame (PERIOD_M1, PERIOD_M5, PERIOD_M15, PERIOD_M30, PERIOD_H1, PERIOD_H4, PERIOD_D1, PERIOD_W1, PERIOD_MN1) of 28 major pairs. The 28 major pairs are the combination of the 8 major currencies. "USD", "EUR", "GBP", "JPY", "AUD", "NZD", "CAD", "CHF"
You have the ability the add prefix and suffix to the symbol in the expert parameter input window. 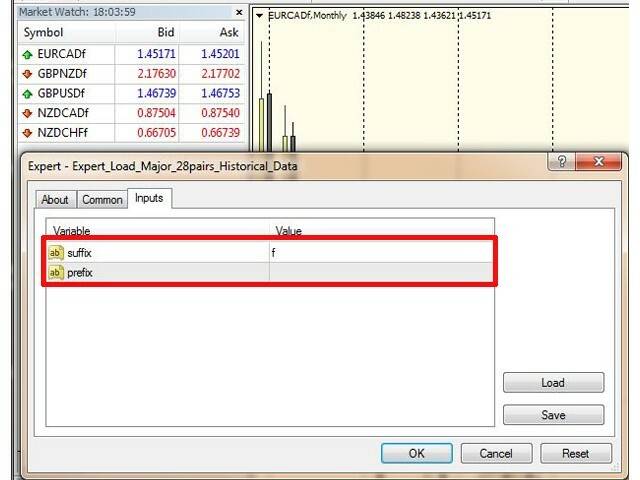 For example, if your broker's symbol is "EURUSDf" instead of "EURUSD", you should key in 'f' in the suffix input cell and leave the prefix blank as shown in the screenshot 1. Once you have successfully load the expert, you can check the progress of data loading in the experts window as shown in screenshots 2. 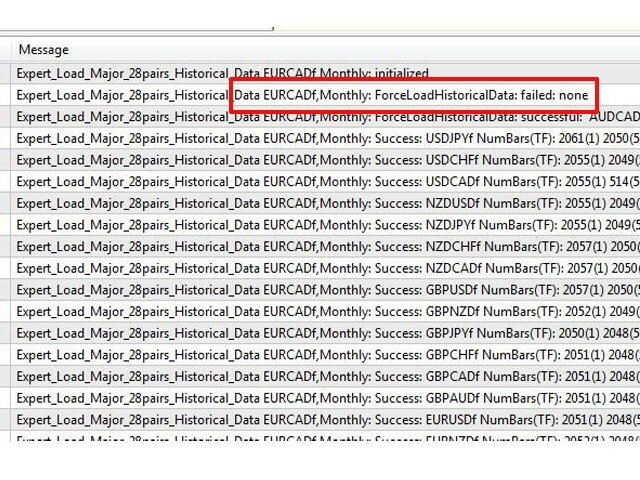 Once data of all pairs have been loaded, expert will send message like "ForceLoadHistoricalData: failed: none" as shown in screenshot 3. Sometimes this expert would fail to load one or two pair(s), you can remove and re-load the expert to get all historical data downloaded. The default input suffix is changed from 'f' to blank.